News Flash -- Frank appeared as one of the experts on New York Metro TV's Antique Show and Sell on January 8, 2004. 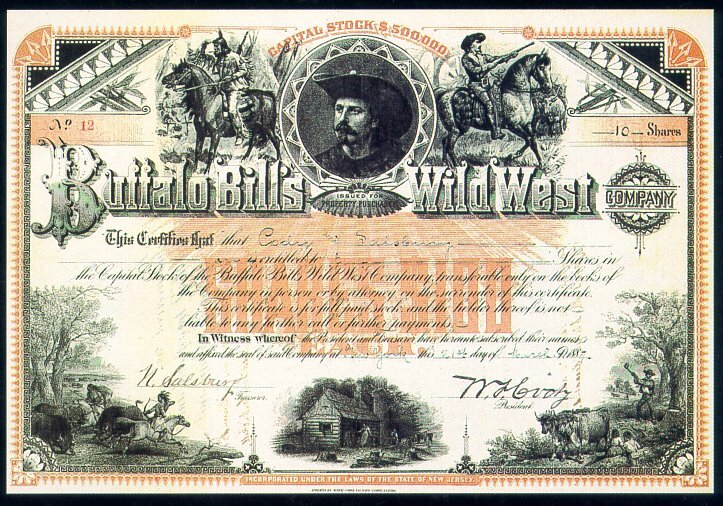 Looking for a specific old stock certificate? "We carry a quality inventory of antique stocks and bonds and related financial ephemera and historic documents (Historische Wertpapiere). Established 1979, we have a reputation for integrity and reasonable prices. What is that old certificate worth? We are buyers of collectible old stocks and bonds of all kinds, whether single pieces or large collections and hoards. For a modest fee, we also help determine whether your old certificates may have value as live securities or as collectibles. Please your email images or mail or fax copies to us." Web Design © 2003 Norrico Inc. All rights reserved. Links to the site are welcome but text and images may not be reproduced in any media without our written permission.